Created by Vertbaudet, designed to be really hard-wearing and to offer maximum comfort! Straight trousers will be the star of the playground! Indestructible trousers by Vertbaudet, the guarantee of a strong, practical and high-quality product! Awarded the Grand Innovation Prize during the "Le Spot des eFluent Mums" trade fair in December 2013 and the "Approved by Families" label for the best products and services for children! Abrasion-resistance test on the canvas fabric and test for the presence of potentially hazardous chemicals certified by Bureau Veritas (certificates available upon request). 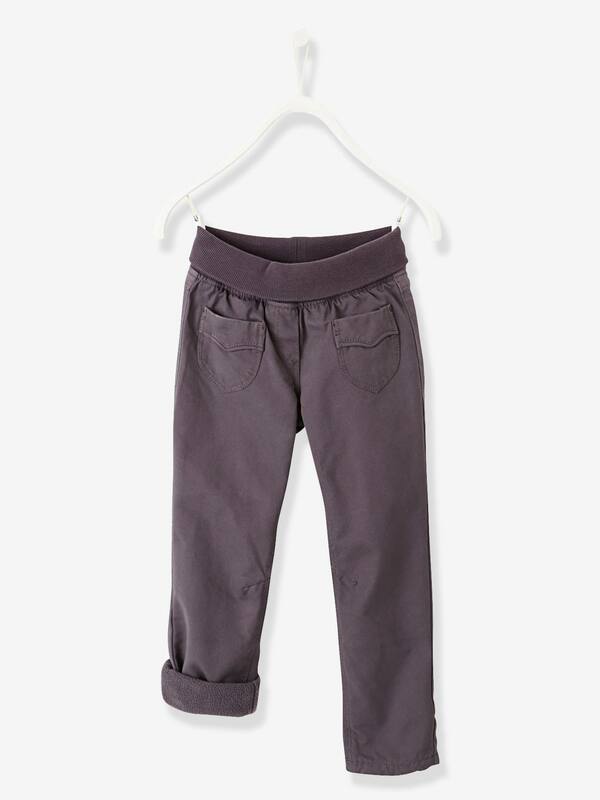 Girls' indestructible trousers 49% cotton, 43% polyester, 8% polyamide. 100% polyester micro fleece lining.